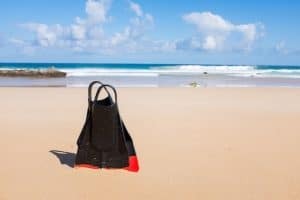 The Gold Coast isn’t particularly well known for it’s snorkelling, but as you will see below there are in fact some amazing and unique snorkelling locations in the area. From shipwrecks to turtles, the Gold Coast has something for everyone. ‘Snorkelling the Tangalooma wrecks at Moreton Island’ by ICTE-UQ available at https://www.flickr.com/photos/icte-uq/27830770173 under a Creative Commons Attribution 2.0. Full terms at http://creativecommons.org/licenses/by/2.0. Our number one snorkelling spot on the Gold Coast is the Tangalooma Wrecks on Moreton Island. 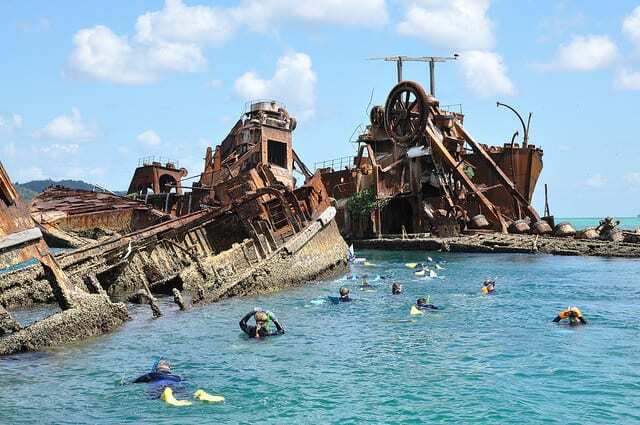 A super popular destination for tourists, the wrecks are full of history and are both beautiful and unique. The area is home to 15 sunken ships that are in turn home to over 200 species of fish. Some of the marine animals that can be spotted here include green sea turtles, wobbegong sharks, different types of schooling fish, and the occasional dugong. The wrecks are located are a 20-minute walk away from the Tangalooma Island Resort on Morten Island. 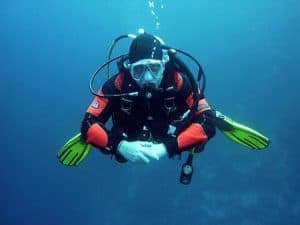 Once you are at the wrecks, you can hire a snorkelling tour to take you out to the wrecks - a much safer and faster option than swimming yourself, as the current can be quite strong in the area. The tour includes snorkelling equipment and a professional tour guide to show you the most interesting areas of the wrecks. More information about the wrecks can be found on various websites, but one of the best places for information is on the Moreton Island website. Originally, Wave Break Island was created to prevent large waves from entering the Broadwater, but the island has since evolved into one of the best snorkelling destinations in the area. 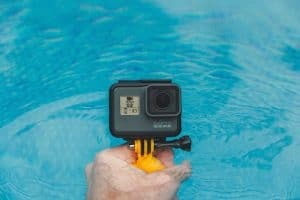 Snorkelling at Wave Break Island, you are likely to experience some of the calmest water on the coast, which makes for a much more enjoyable experience, especially for young families. You’ll have the chance to see over 50 different types of fish at depths of up to 15m. Many of the fish here are schooling fish which are incredibly friendly to people, making it the perfect place to snap underwater photos. Wave Break Island offers guided snorkelling lessons for beginners. To get to the island from the main beach, you’ll need a boat or time your adventure so that you can swim to the island at low tide.You can get more information about the island by visiting its Facebook page, and you can book snorkelling tours through its Lonely Planet page. ‘Tallebudgera creek’ by Endah L. Puri available at https://commons.wikimedia.org/wiki/File:Tallebudgera_creek.jpeg under a Creative Commons Attribution 2.0. Full terms at http://creativecommons.org/licenses/by/2.0. Tallebudgera Creek is another excellent place for snorkelling on the Gold Coast. It has clear waters and an abundance of marine life on offer, including crabs and small schooling fish. 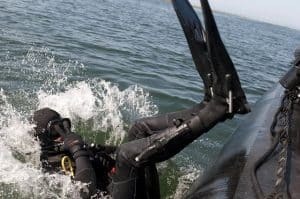 Despite being a good place for snorkelling, the tide in the area can be quite rough so it’s a good idea to wear fins and to find a guide of the tide times and to plan around the current. During high tide, there is usually a quaint little rock pool that is great for children to play in or for observing small fish and sea life. 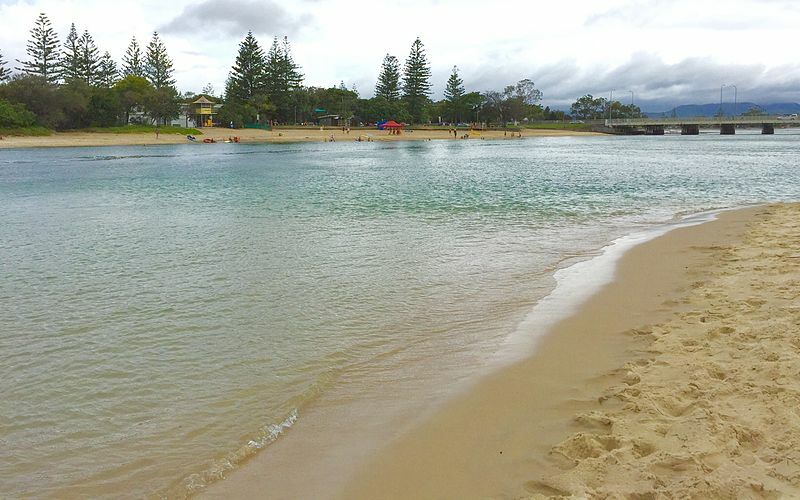 Tallebudgera Creek is located not far from Palm Beach and can be reached by car or by foot depending on where in the Gold Coast you are based during your visit. Time to plan your Snorkelling trip on the Gold Coast! As you can see, the Gold Coast is in fact a great place for a snorkelling adventure. With an exiting variety of locations to choose from, each with its own unique sea life and features, there really is something for everyone. 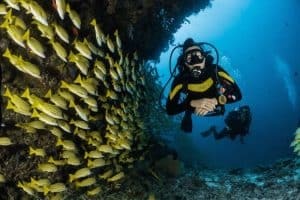 We hope this guide has inspired to explore this great part of Australia and seek out an amazing snorkelling experience. Know of a great snorkelling spot we have missed? Please let us know in the comments!